Here in Seattle, we're passionate about our sports teams. But when it comes to the Sounders FC, we have to say, their fans are some of the most dedicated we've seen in the country. And for the first time, fans can literally join the team. "Since I've joined this community, I feel like there's a real sense of camaraderie and people are very supportive of each other in Seattle," said Stefan Frei, Sounders goalkeeper. Sounders goalkeeper, Stefan Frei, joined the team back in 2014, and is already the club record holder in career saves and wins. 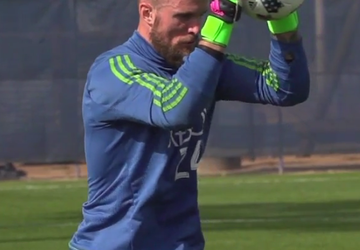 "You are the last line of defense," explained Frei. "That's why sometimes, those small decisions we make are crucial, and they can have a huge impact on the game. Most of the time you only see the wrong mistake, but I think collectively as a team, they realize what is important and how important it is to have a good goalkeeper." 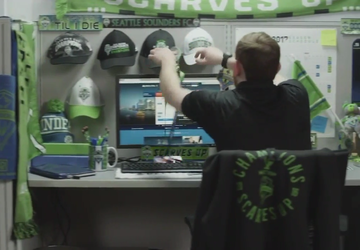 Now, Frei wants you to feel the rush of being part of the team, with the first-ever Sounders FC fan draft. "I remember my day when I turned professional," continued Frei. "Obviously, this may not be the same, but the amount of emotions I had, it was a really cool experience." Over the next two weeks, you can nominate yourself or another super fan for a chance to make your squad goals come true. 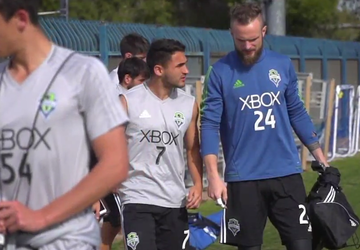 "First of all, they'll get to be signed as part of the squad, which is really cool," said Frei. "I think them getting their own jersey and their own number is going to be unique. Our team is made up of a bunch of unique individuals, and obviously the reason they are chosen to be part of this team is because of the unique aspect they bring to the team. For fans, it's almost a similar thing, right? There's so many unique fans out there that bring their uniqueness to the supporting group." For the lucky 11 selected, not only will they sign a one-day contract and get their own jersey and number, they'll get to fly with the team on a Delta flight to Los Angeles for the July 29 match. "What they are probably wanting is to be treated as if they are part of the squad," said Frei. "We have our small cliques if you will, who like to get a coffee at the airport together, so maybe we can sneak one or two new members into that little clique." If you want to nominate yourself or another Sounders super fan, you can do so here.